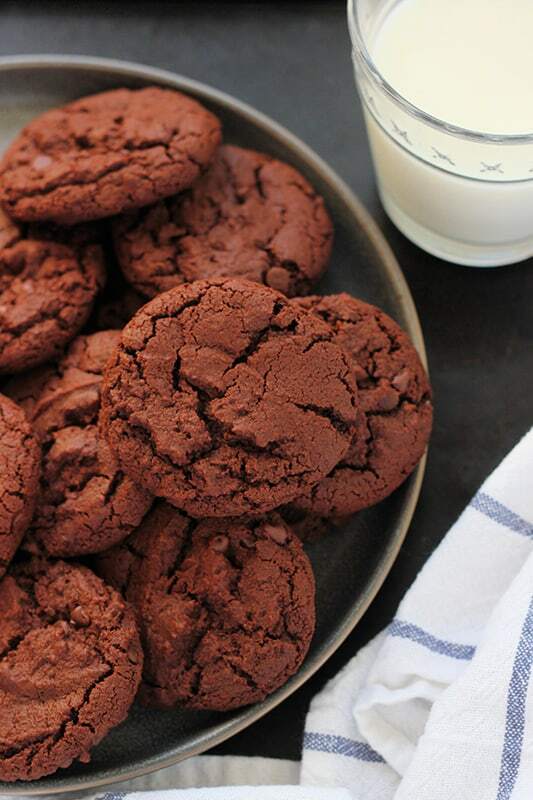 Spicy Chocolate Cookies. Sweet and spicy combine in this cookie recipe to give you a decadent sweet with a little kick! Spicy cookies are the best. A tiny dash of cayenne mixed with a sweet chocolate cookie base really takes these cookies over the top. Making them my number one go-to. The first bite you take fools you. 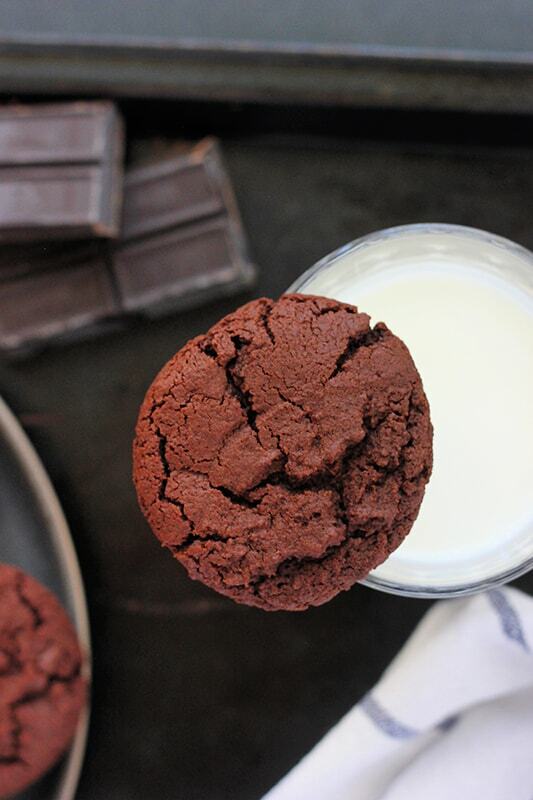 You think you are enjoying a decadent chocolate cookie. As you chew a small hint of spice sneaks in and overwhelms your taste buds. It is not an overwhelming spicy flavor, but just the right amount. The best way to eat these? Heated in the microwave for just 10 seconds and dipped in milk. Close your eyes and imagine this with me… SO GOOD. Disclaimer: My nine year old is not a fan. He said they are ok, but more of an adult taste. They still managed to get a 7 out of 10 in his rating system! Like this recipe? You will love my Brownie Cookies, The Best Chocolate Chip Cookies, and Copycat Oreo Cookies! Preheat your oven to 325 degrees. Line two baking tray with parchment or silicone mats. Set aside. In a microwave safe bowl melt the butter with the chocolate for 40 seconds, stirring halfway through. Allow to cool while you prepare the next step. In a large measuring cup combine the flour, cocoa powder, cinnamon, baking soda, salt, and cayenne. 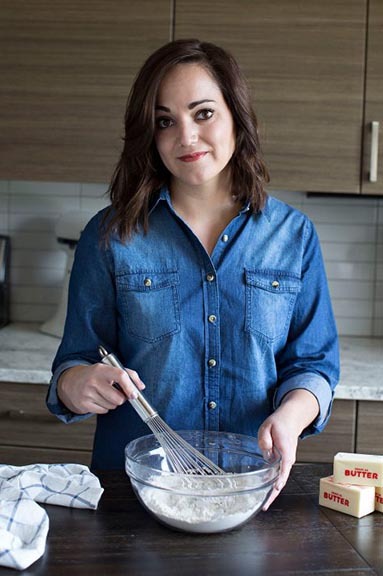 Whisk together with a fork and set aside. Combine both of the sugars with the melted chocolate mixture in the bowl of your electric mixer. Beat until fluffy, scraping the sides of the bowl once. Add the vanilla extract and egg until incorporated followed by the dry ingredients. Fold in the chocolate chips. Spoon 1-2 tablespoons of dough onto your prepared cookie sheets, leaving 2 inches between each. Bake 12-14 minutes or until the edges are firm. It’s not too spicy. Just a hint that really compliments the chocolate. I’ve used cayenne in my hot cocoa recipe and it’s wonderful. I bet your cookies are out of this world! I have a spicy cocoa recipe as well. Nothing like warming your belly with a spicy hot chocolate! 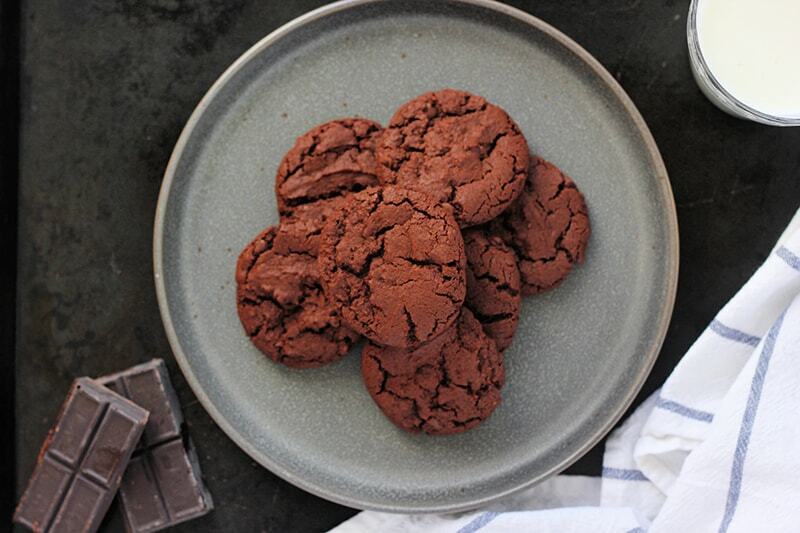 The cayenne pepper gives just the kick that the chocolate cookies might need! Bet these taste amazing. They definitely look it. You’ll have to try them. They are amazing!